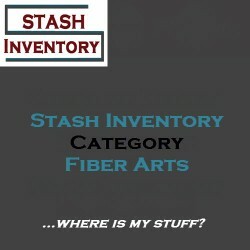 This stash type would be particularly useful for those in the fiber arts where the dying of fabrics .. Fiber stash type items are those that weavers, fiber artists, spinners and the like would use to tra.. This stash type is particularly useful for those in the fiber arts, for example knitting needles, cr..